Writing En abîme in English also brought about a number of considerations on the construction of the entire project. I thought of my writing method through a few notions related to the Baroque as a technique devoted to making a space. I’m particularly interested in the notion of Baroque artificiality, stemming from the Latin word artificium as skill, technique – hence my references to Italian writer Giorgio Manganelli’s idea of artificium in relation to writing. The very foundation of this book, the English language, appears to be a form of artifice in itself: a construction, an enhanced exercise in a craft, an over-exaggerated mode of expression. Reinassance and Baroque by Heinrich Wölfflin was instrumental to analyse the relationship between Kunstwollen (a notion defined by Alois Riegl, where art is the expression of a historically determined, constructed reality) and an idea of meaning which is not a value related to truth, but a skill: a creative production, building a history of vision and of visual strata. Very detailed and convoluted descriptions do not function as superfluous ornaments, but as consistent and necessary in the foundation of an autonomous linguistic and creative territory. I think for example of the elaborate, extravagant visions painted on the domes of the Chiesa del Gesù by Baciccio and of the Chiesa di Sant’Ignazio by Andrea Pozzo, both in Rome – both overwhelming with details and decorations, yet functional to the fictional expansion of the churches’ architectural frames. And indeed the scope of Baroque vision was a spatial one, like the Italian art historian Giulio Carlo Argan showed on many occasions, in particular with relation to Baroque and rhetoric. In a note to Acquainted with Grief, Carlo Emilio Gadda addressed directly the notion of Baroque in relation to his writing, and spoke of the Baroque as an attempt to construct. He wrote at length on the subject as a technique of building the grounds for the self-contained truth within language. Argan, Giulio Carlo. (1986). Immagine e persuasione. Saggi sul Barocco. 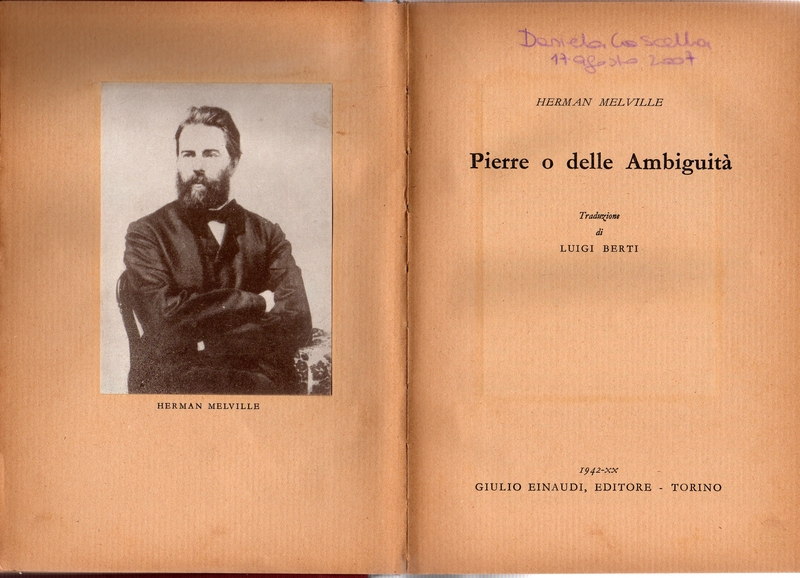 Milan: Feltrinelli, pp. 19-24. Argan, Giulio Carlo. (1957). L’architettura barocca in Italia. Milan: Garzanti. Argan, Giulio Carlo. (1955). La Retorica e l’arte barocca. In: AA.VV. Retorica e Barocco, Atti del III Convegno Internazionale di Studi Umanistici Venezia 1954. Rome:, pp.167-76. Argan, Giulio Carlo. (1988). Storia dell’arte italiana, vol. III. Florence: Sansoni. First published in 1968. Gadda, Carlo Emilio. (1987). Quer pasticciaccio brutto di via Merulana. Milan: Garzanti. First published in 1957. Gadda, Carlo Emilio. (1997). La cognizione del dolore. Milan: Garzanti, pp. 197-199. Manganelli, Giorgio. (1994). Il rumore sottile della prosa. Milan: Adelphi. A collection of articles published between 1966 and 1990. Manganelli, Giorgio. (1985). La letteratura come menzogna. Milan: Adelphi. First published in 1967. Manganelli, Giorgio. (1997). Le interviste impossibili. Milan: Adelphi. First published as A e B in 1975. Riegl, Alois. (2010). The Origins of Baroque Art in Rome. Translated from German by Andrew Hopkins and Arnold Witte. Los Angeles: Getty Publications. First published in 1908. Wölfflin, Heinrich. (1967). Renaissance and Baroque. Translated from German by Kathrin Simon. Ithaca, NY: Cornell University Press. First published in 1888.